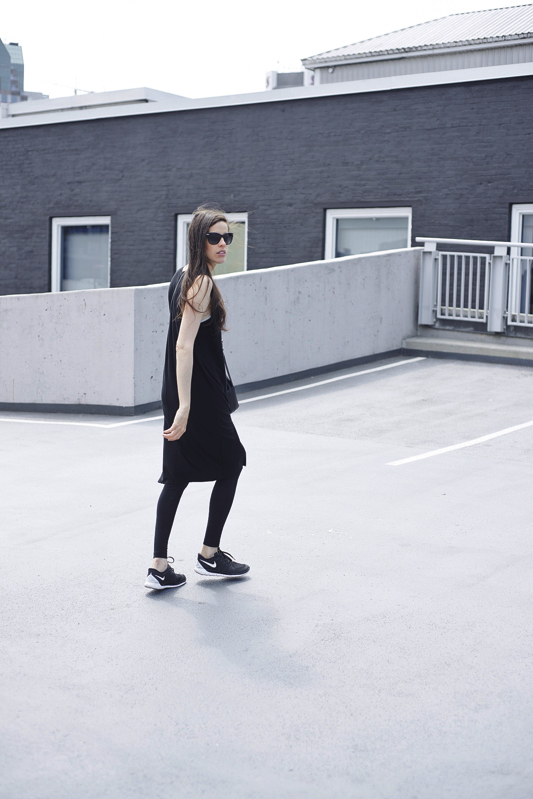 WEARING: Melissa Araujo Slit Dress (PRE ODER Now- Coming Soon), Splendid Leggings, Nike Free Run, Gap Bucket Bag & Club Monaco Sunnies. If you get creative with your layering you can have a lot of options with the same pieces in your closet. Layering is not just exclusive for cold seasons, you can layer during Summer as well. 2. Start with simple pieces. In this case I layered our MA Slit Dress on top of a basic legging. This Slit dress is probably the most comfortable thing in my wardrobe right now. Every girl needs a mid black dress and we got you covered. 3. 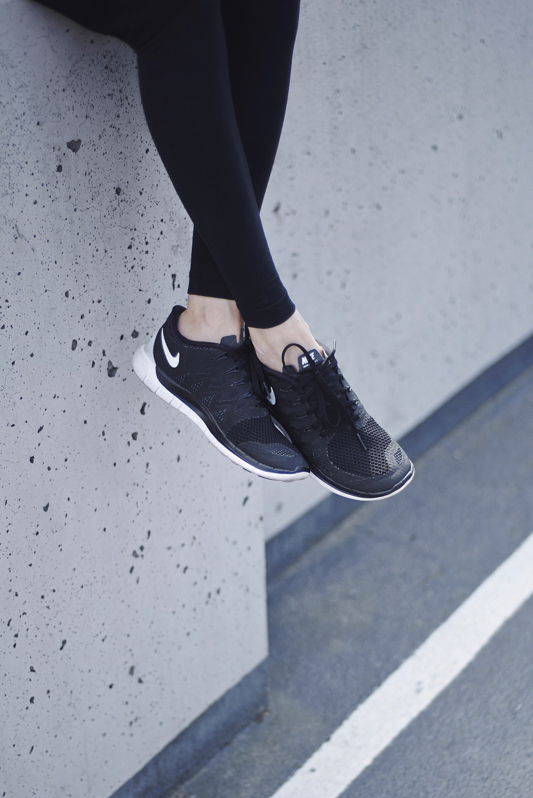 Always add strong accessories, I choose the Nike Free Run for a sporty vibe and to make my all black ensemble pop. 4. If you need you can throw either a blazer, a bomber or a leather jacket to this outfit and it would still work. This type of outfits are easy to put together, comfortable and functional. It is perfect for those busy days when you don't have time, but still want to look good (which feels like most days for me). Let me know how you like to layer. Amazing outfit and i loved your bag! Perfect outfit and perfect scenario as usual! Love your layering outfits! 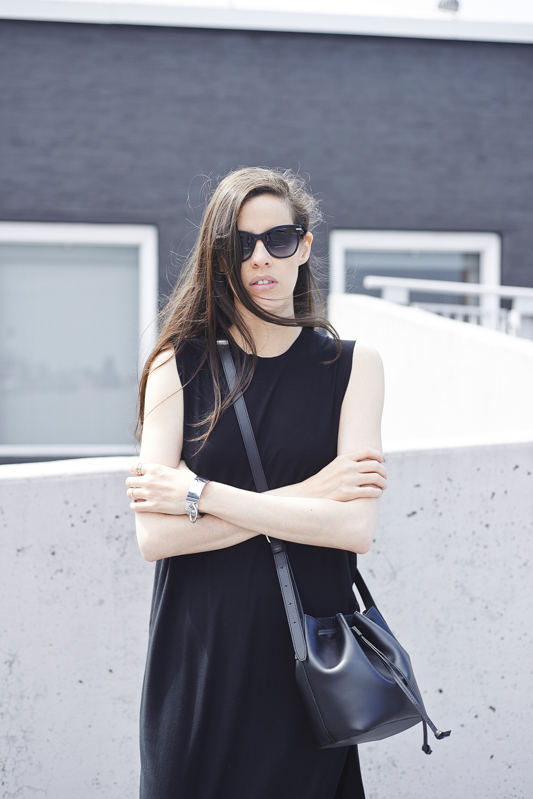 I really like layering dresses with pants and it has become quite a popular variation. I need to try adding a long vest to it and see how it looks. Great tips! 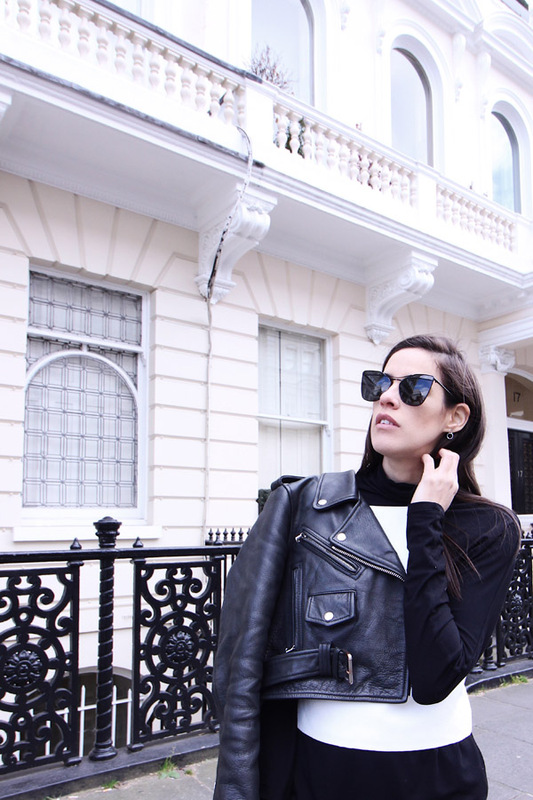 Layering is such a great way to change up your look! Love, LOVE your outfit and photos! So chic! Definitely something I would wear! 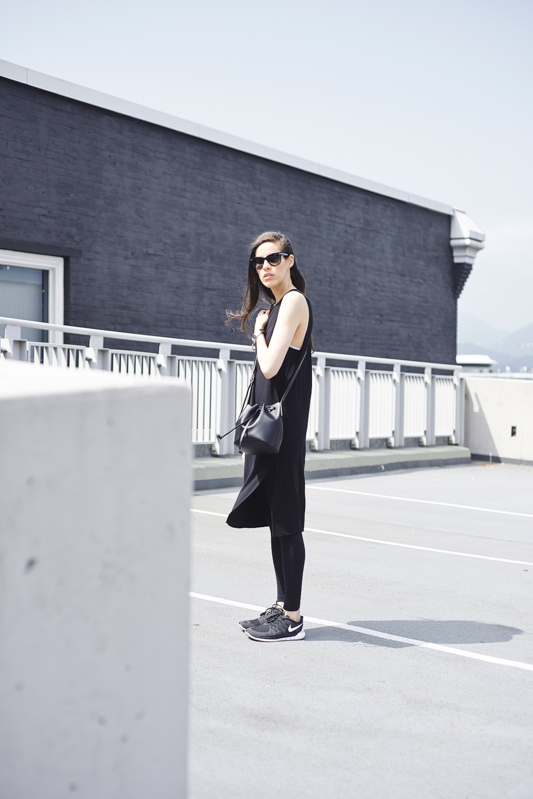 Perfect sneakers and bag girl!